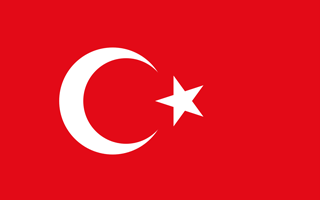 British Citizen Passport Holders require a visa for Turkey before entering the country. Please note that the granting of any Turkish Visa is dependent upon consular discretion. The standard processing time for a visa for Turkey is up to 5 working days. Your Turkey visa is valid for 180 days and allows for multiple stays of up to 90 days in total. Once the visa for Turkey is processed, none of the information on it can be changed. The information on your Turkish visa must be exactly the same as the information on your travel document. *Non British Citizen Passport holders should contact us for further information. The Travel Visa Company endeavours to provide carefully collected information obtained directly from the relevant Embassies, High Commissions and Consulate Generals - however, this information is subject to frequent changes, without prior warning. As such, we cannot be held liable for any omissions or errors in the information provided on this site. You are strongly advised to check all information with one of our dedicated Visa Specialists on the telephone number above.